Multi-track recording is a process of recording two or more musical instruments into their respective two or more channels or tracks into a recording device. The recording can be done simultaneously (multi-channel recording) or one at a time. Recording multi-track is very efficient. It is because it can save a lot of energy in the recording process. Supposing you are the producer that is recording a band with 4 tracks (one vocal, one guitar, one bass, and one percussion); then after the recording; you found out that the guitar solo needs to be change. Without multi-track recording technology, the entire band would need to perform again for the recording. This is very tedious isn’t it? With multi-track, only the guitarist would need to perform again and the rest of the band would rest. On how to perform multi-track is the subject of this tutorial. 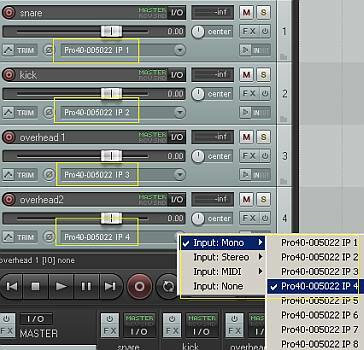 This tutorial emphasizes multi-track recording using digital technology. This would let you use your existing PC as a multi-track recording studio. -A Complete DAW (digital audio recording) system. In digital domain, the recording studio (which is your PC) is your DAW system. If you are a beginner or don’t have one, you can read this guide. The heart and soul of your DAW system hardware is the external audio interface. If you are a beginner and on a tight budget, you can read some recommendations here pertaining to audio interface. Look for one that allows you to record more than 2 tracks with a preamp on each input. For example; looking into the recommendations on that post; you would most likely select Tascam US-800. The most recommended is Reaper. It is a complete multi-track recording solution. a.) One at a time– you will be recording musician performance one at a time. b.) Simultaneous tracking– a group of musicians (such as a rock band) would be recorded together/simultaneously. 1.) 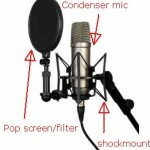 Since recording a drum kit requires different microphones (e.g. 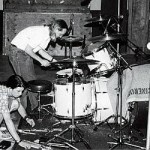 one microphone on snare drum, one on kick drum, etc.) then it should be recorded “simultaneously”. 2.) Rock bands whose energy from synergy is important needs also to be tracked simultaneously. 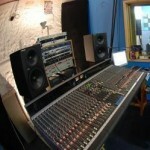 Read the details on this tutorial about recording a rock band in the studio. 3.) Re-tracking/re-recording/re-take/overdubbing of vocals, bass guitar or guitars in general can be done one at a time. Let’s start with a slightly more complex procedure of multi-track recording – simultaneous recording sessions. 1.) You first need to assign which instruments should occupy each input in your audio interface. 2.) 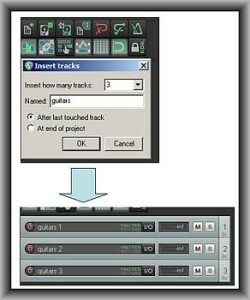 You then decide how many tracks you would need to create in your multi-track recording software. As a rule, number of tracks is equal to the number of microphones used. Or it is equal to the number of musical instrument inputs to be recorded together. For example, 6 guitars require 6 tracks to be created. 3.) For overall purpose of clarity, make sure you label your tracks in your software so that you won’t get lost. Enclosed in yellow are your audio interface inputs (Input 1 for the snare, Input 2 for the kick, etc.). You also need to observe proper gain staging as illustrated in this tutorial before hitting the record button. Once everything has been set (recording levels, bit depth, sample rate, etc. ), hit the record button. Since this is a simultaneous multi-track recording session, there will be four waveforms appearing together and visible on your DAW from Track 1 to Track 4 (if you are recording four tracks). 1.) Go to Insert — > Multiple Tracks. This will let you add several empty tracks for recording at once. The number of tracks to be inserted depends on how many instruments you wish to record at the same time. If you are only recording one instrument, then add only one track. Otherwise if you are tracking or recording more than one instrument (such as a live band) then insert a suitable number of tracks for recording. As you can see in the above guide, every musical instrument has its corresponding audio interface analog inputs. And every analog input of the audio interface has its corresponding REAPER tracks added for recording. a.) Recording one singer with one microphone is mono in nature. It is because there is only one audio source. b.) Recording one guitar is also mono since there is only one musical instrument.